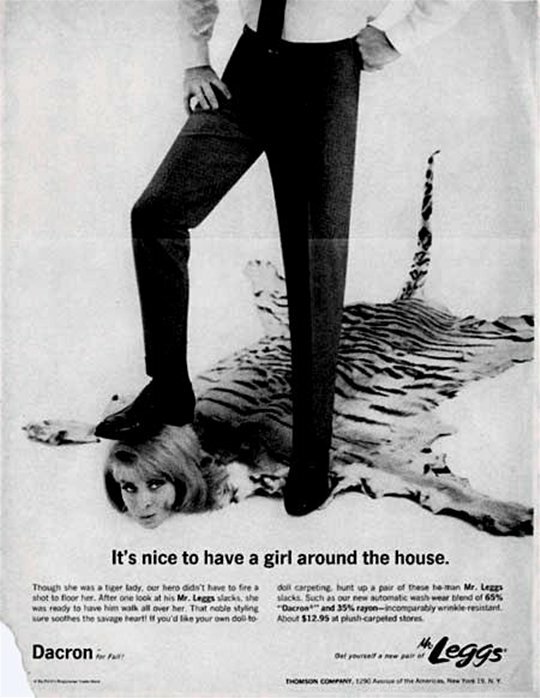 ﻿ I forget how close we are to the highly sexist thinking of yesteryear. Sure, most women don't make as much money as men but at least HR doesn't say "Well its cause you're a woman." I had to super duper squint to make out what that ad is for - its for his slacks! Apparently they are so flattering that she will take one look and let him walk all over her. I guess we all have our fetishes, eh? Click here to see 9 more ads - some even more apalling than that one!